Pictured from left to right: Allison Reid, CDO, Kimpton Hotels & Restaurants; Cindy Estis Green, CEO and co-founder, Kalibri Labs; Marina MacDonald, CMO, Red Roof Inn; Amy Jakubowski, managing director and design director, Los Angeles, Wilson Associates; Michelle Russo, CEO, hotelAVE; Kate Henriksen, SVP of investment and portfolio analysis, RLJ Lodging Trust; Rosanna Maietta, SVP of communications, AH&LA; Peggy Berg, Director, The Castell Project; Andrea Foster, SVP of Development, ‎Marcus Hotels & Resorts; Anne Smith, VP of brand management and design, Choice Hotels International; Mary Beth Cutshall, SVP and chief business development officer, HVMG; Kay Lang, president and CEO, Kay Lang + Associates. 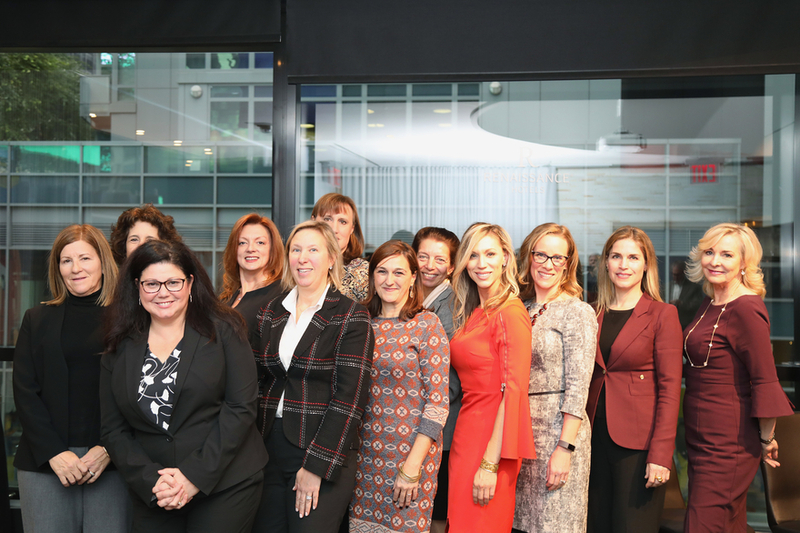 Amid the #MeToo movement and an overall dearth of women in upper-echelon hospitality industry jobs, a bright bunch who currently are leaders participated in Hotel Management’s inaugural Women in Hospitality Roundtable, held at the Renaissance Times Square at the tail end of 2017. 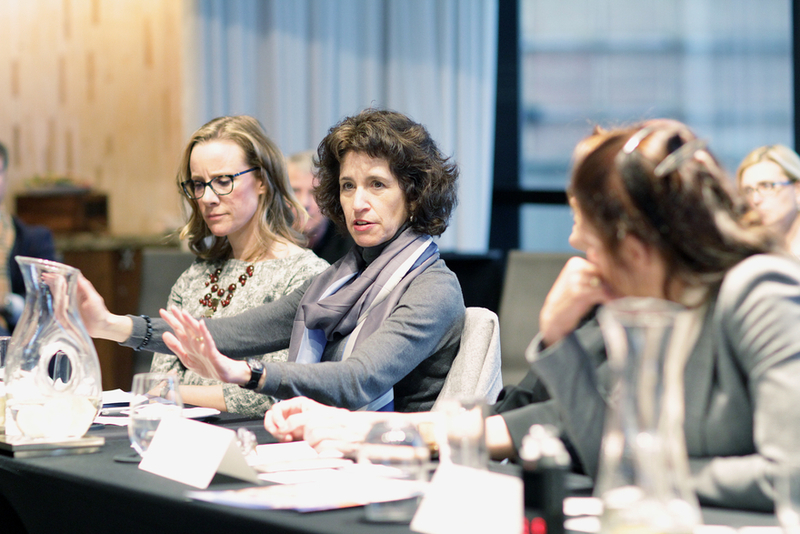 Participants discussed many of the myriad issues that women face in a business landscape still dominated by men. Foster was quick to name her mentors—both men—as positive figures who helped elevate her career in the industry. She called on more men to provide advocacy for female employees, and she also said women should be seeking out these opportunities whenever possible. An industry can’t have new leaders if it doesn’t have new applicants. Allison Reid, chief development officer at Kimpton Hotels & Restaurants, said more women are coming into the hospitality industry with an eye on the business side of hotels, something that is reflected in the crowds attending trade shows. Once they get in the door, however, several of the women at the table said it is an uphill battle to be considered for promotion. Peggy Berg, director of The Castell Project, said it isn’t enough to change jobs and work hard. Traditionally, she said, women are not taught as they are growing up to have a skillset that is valued by the business community. Instead, they either rely on mentors to teach them, or they learn these skills autonomously. Anne Smith, VP of brand management and design, Choice Hotels International; Cindy Estis Green, CEO and co-founder, Kalibri Labs; and Amy Jakubowski, Managing director & design director, Los Angeles, Wilson Associates discuss the culture in which we are raising children, and how it affects the business environment. Since today’s companies are led by boards of directors that are entirely male, can we look forward to a future where a hotel company’s board of directors will be entirely female? The consensus at the table was that voting based on gender is a flawed concept – entirely the reason why quality female candidates have been passed over before. Rosanna Maietta, SVP of communications for the American Hotel & Lodging Association, said it’s up to women in business to put themselves out there and apply for positions where they feel they might be a fit. Michelle Russo, CEO of hotel AVE, said women face other challenges in the applications process. For instance, a young woman with children might doubt her ability to work within the confines of a schedule set by someone else, and may benefit from the ability to dictate their own schedule or be flexible in other ways. “Part of our job is helping [these women] succeed by saying ‘You can manage your schedule, and if you get your work done, you’re successful,’” Russo said. As the concept of working remote came up, Marina MacDonald, chief marketing officer at Red Roof Inn, said flexibility in working conditions is growing more common in all corners of business as millennial permeate the workforce. However, understanding the mentality of millennial workers requires more than knowing their birthdate, as gender and marital status also have a role to play. Single women in business, MacDonald said, value their free time, and they also value experiences. Newer PostALIS Day One: What is the new normal?